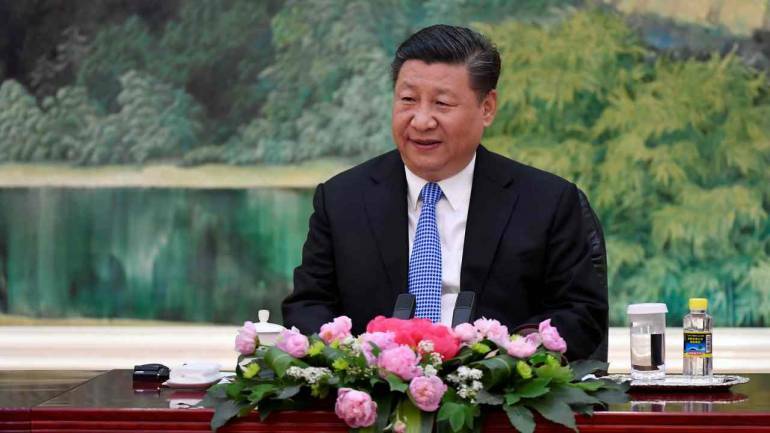 China should seek stable development of its economy while not forgetting to fend off risks to its financial system, Chinese President Xi Jinping said, state news agency Xinhua reported on February 23. China’s economy is growing at its slowest pace in almost 30 years, spurring policymakers to bolster growth by easing credit conditions and cutting taxes. “It is necessary to focus on preventing risks on the basis of steady growth, while strengthening the countercyclical adjustment of fiscal policy and monetary policy and ensuring that the economy operates in a reasonable range,” Xi said. Preventing and resolving financial risks, especially systemic financial risks, is a fundamental task, the agency cited Xi as telling a study session for senior Communist Party officials on February 22. On February 20, Premier Li Keqiang reiterated that China would not resort to “flood-like” stimulus such as it unleashed in past downturns. But after a spate of weak data, investors are asking if Beijing needs to speed or boost support to reduce the risk of a sharper slowdown. Until now, China has refrained from cutting benchmark interest rates to spur the slowing economy, which would ease financing costs but risk adding to a mountain of debt. To free up more funds for lending to small and private businesses, the central bank has cut the reserves that banks need to set aside five times in the past year. Last month, Chinese banks made the most new loans on record, a total of 3.23 trillion yuan ($481 billion). A central bank official said previously that no credit floodgate had been opened, and the lending jump showed recent easing steps were working. China’s financial sector must serve the real economy, Xi said, but stable growth and risk prevention must be balanced.